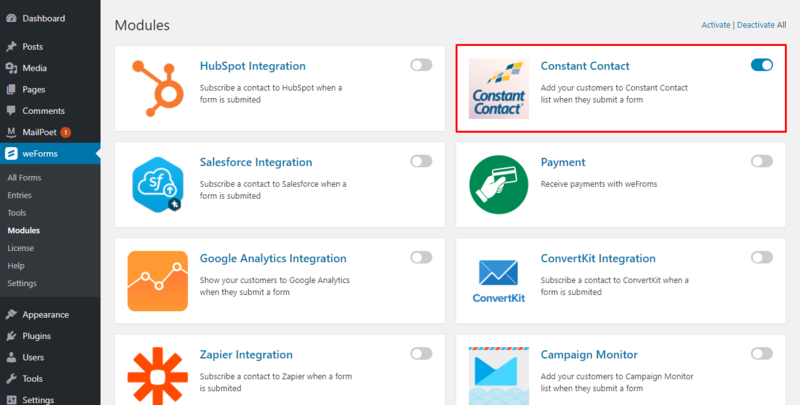 Constant Contact Integration for weForms Make your Email marketing powerful and simple using Constant Contact integration for weForms. 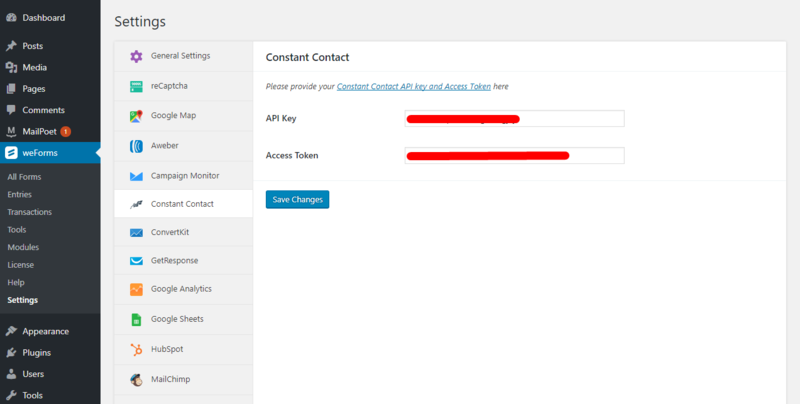 Have the ability to easily import entry data from weForms to your Constant Contact subscribers list. Enable Autoresponder or personalized emails for weForms entries. 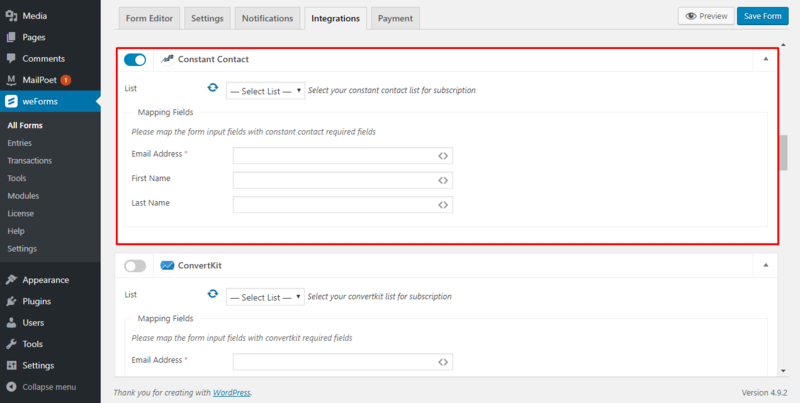 Constant Contact integration for weForms makes your Email Marketing solution look more professional by combining it with the most awesome form builder.